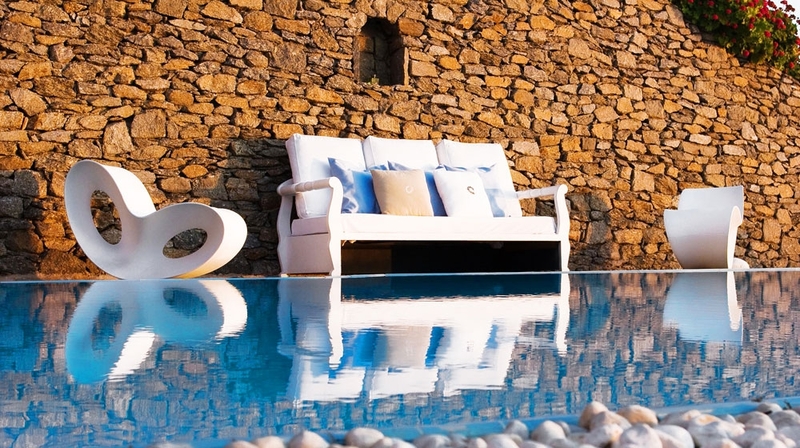 Staying here means contributing directly towards helping the environment; the resort uses mostly organic natural resources for its cuisine and spa, as well as recycled building materials for the two new spa pool villas. 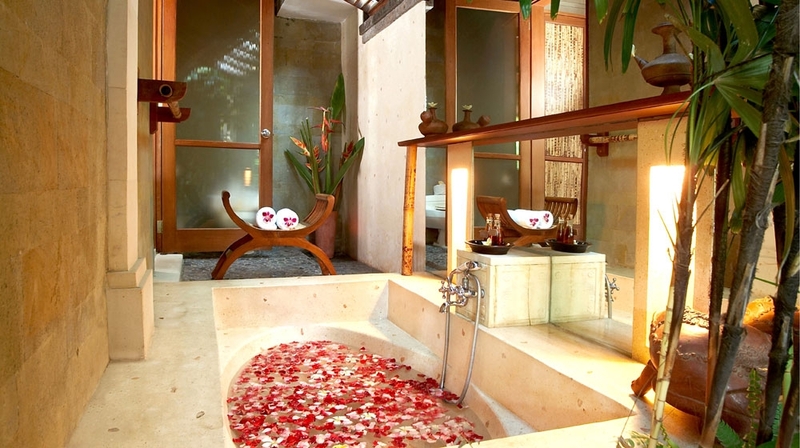 The low-key, intimate atmosphere makes the resort ideal for honeymooners and couples on a romantic escape. Nestling in a lush tropical garden like an oasis, the garden villas are built next to a meandering lagoon pool with a cascading waterfall. 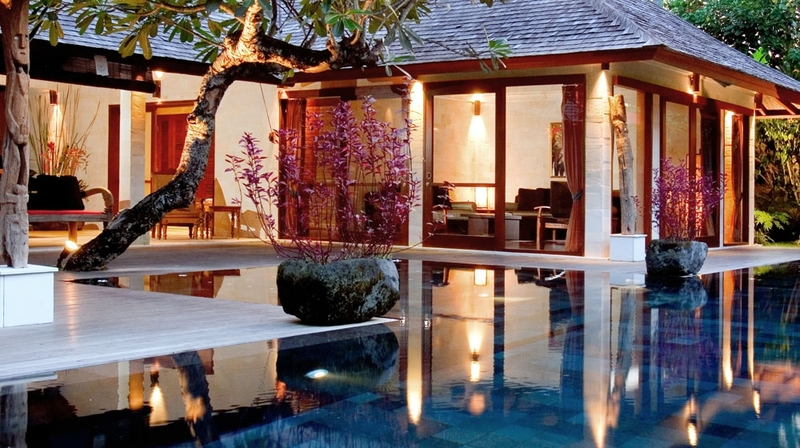 Villas: Three large self contained villas offering ultimate privacy. 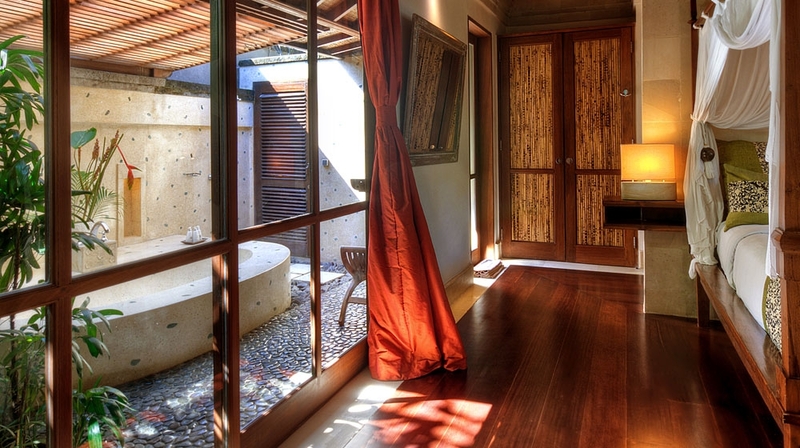 Each of these one- to two- bedroom villas are beautifully designed blending contemporary elegance and style with balinese traditions. 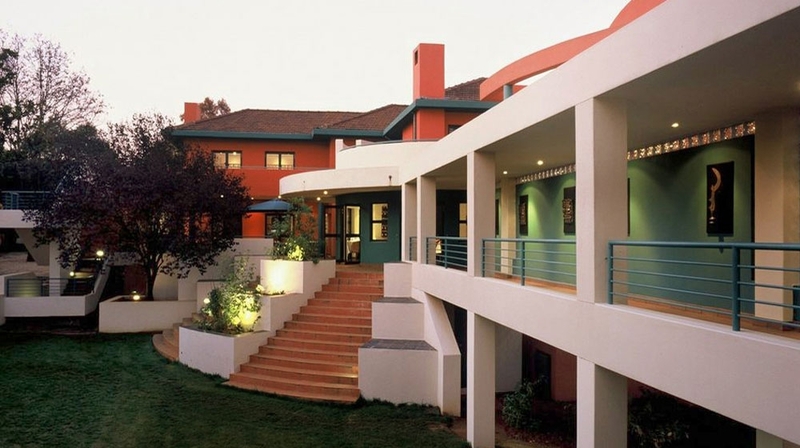 They have been constructed using the finest building materials. 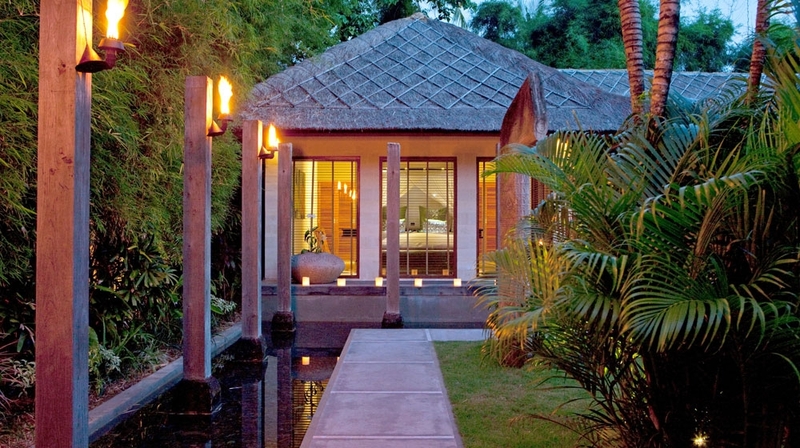 Pool Suite Villas: Encompassed by walled gardens, the luxurious suite villas each have a private pool. 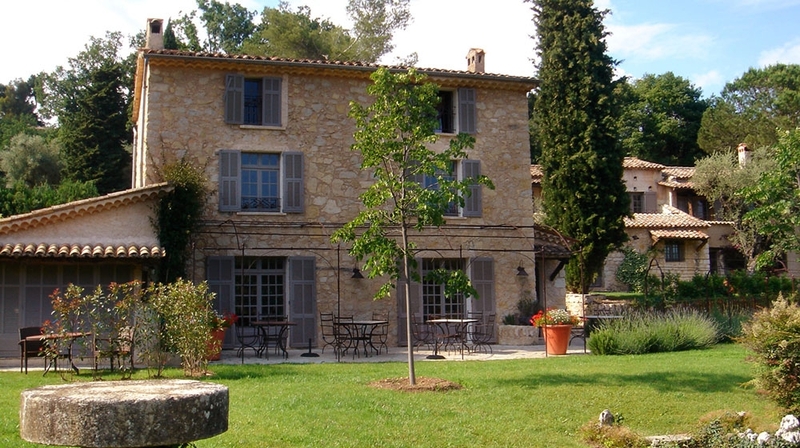 Complete privacy and intimacy is offered for couples and honeymooners. 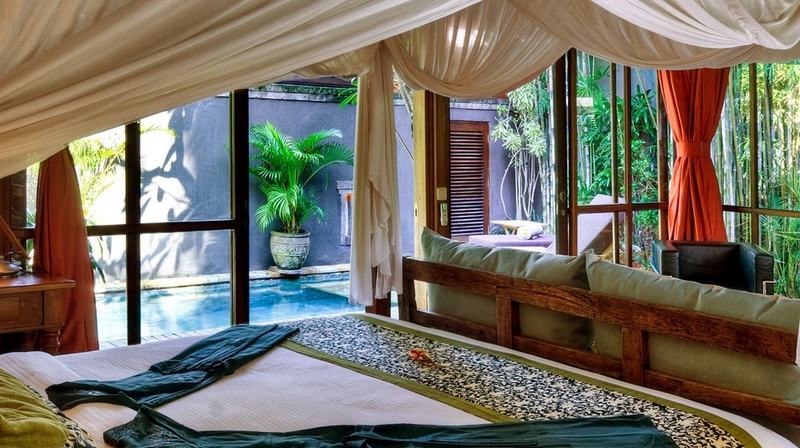 They have stylish interiors with wooden floors, selected antiques and high airy ceilings with traditional Balinese outdoor style bathrooms. 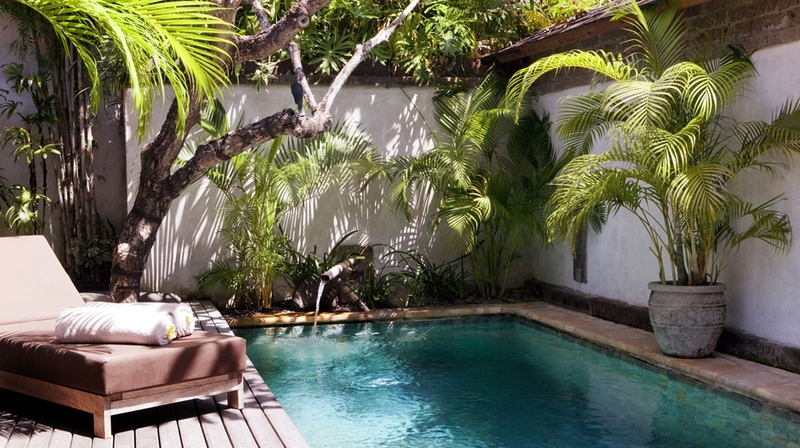 Garden Suite Villas: A collection of seven garden suite villas, nestled in a lush tropical oasis enhanced by heady fragrances, all near to the large main swimming pool, some even offering direct pool access or a private large jacuzzi. 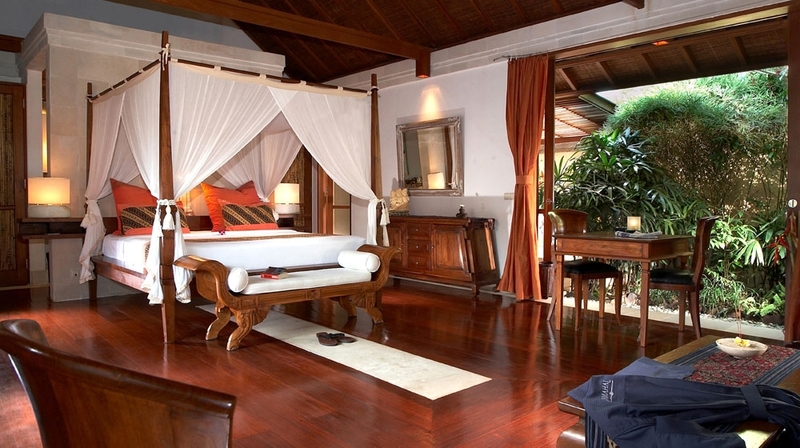 Jamahal operates a private beach club which is a five-minute walk away from our luxury villa resort. The facilities include sun chairs, sun umbrellas and sanitation. A small bar serves refreshments and snacks. 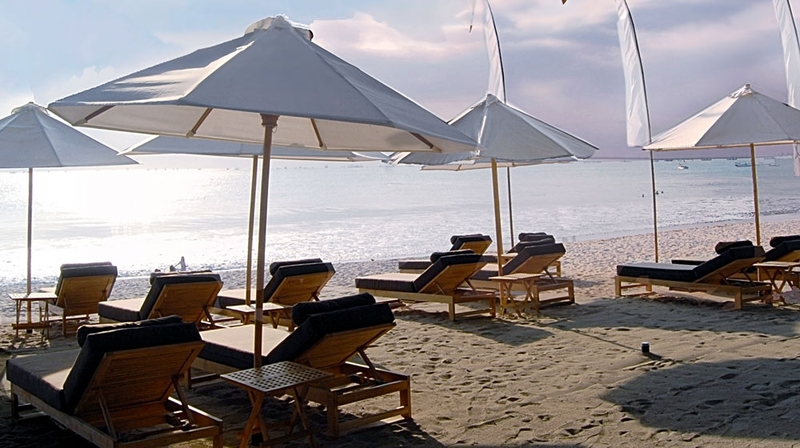 The Jimbaran beach club is open daily from 10:30 a.m. until 18:30 p.m. A free shuttle bus transportation is available. 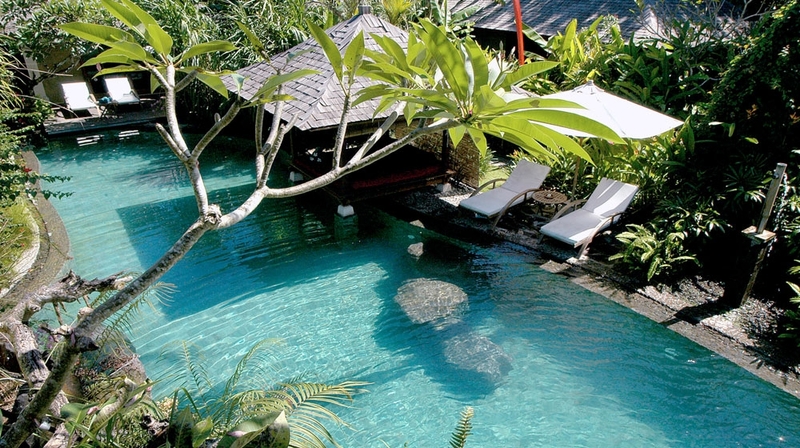 The Jamahal is one of Bali's most sought-after beach wedding hotels. We focus on arranging cozy and intimate wedding ceremonies at the most romantic and secluded scenic spots on this paradise island. Enjoy the freshest vegetables from the highland gardens near the mountain resort of Bedugul, fruits and fish from local markets along with the highest quality imported products, accompanied by home-made pasta, breads and pastry. Find a large variety of fresh juices, teas and original Italian coffee for an authentic espresso or stylish cappuccino. 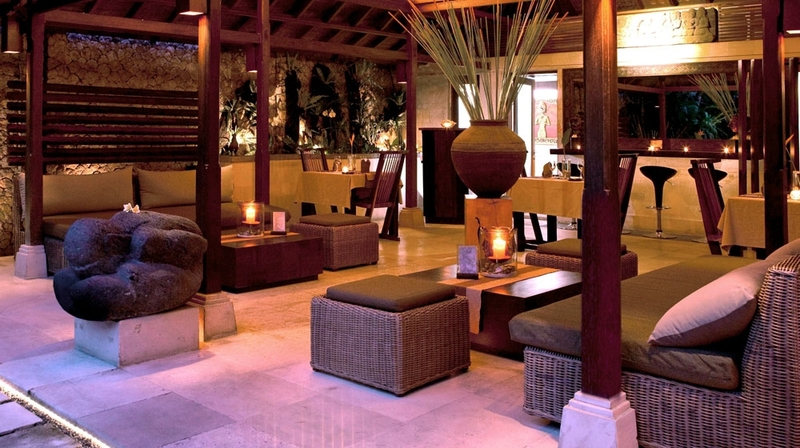 Explore our wide selection of wines, choice of exotic cocktails and a wide range of fresh juices. By Plane: The nearest airport is Ngurah Rai International Airport: 4 km.